Landlocked Derbyshire in the East Midlands officially contains the furthest point from the sea in Great Britain. It also has a portion of the Peak District National Park and the Pennine Hills so an outdoor team build is highly recommended. With a wealth of country manor hotels, Derbyshire is a great location for an overnight stay. Take a look at our Evening Events for something special, and with East Midlands airport round the corner, it's also a convenient conference venue. Fill in a quick online enquiry form or call our sales team on 0845 006 06 06 for some more unique team building ideas. If you are planning a two day conference in the area, our free venue finding service might be just what you need! Breadsall Priory is a Grade II listed building set in attractive countryside. The hotel offers a delightful combination of old and new. 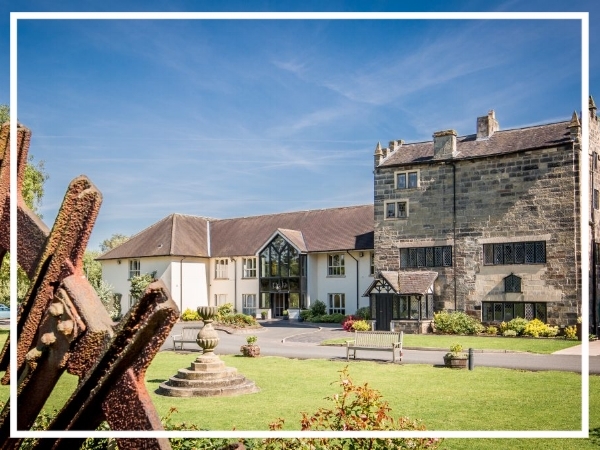 A great destination for your away day in Derbyshire, the Breadsall Priory can accommodate a wide range of team building events. The Priest House Hotel is a luxurious 4-star property located near the centre of Castle Donington. Picturesque and peaceful, though close to transport networks, all of the meeting and conference rooms offer a traditional heritage feel. The Palace Hotel was built in 1868. It's magnificent exterior was designed by Henry Currey, architect to the Duke of Devonshire in his time. It’s a much-loved focal point of Buxton’s culture and the fantastic staff have helped earn it a fantastic reputation.